The Facebook-owned chat app is used by 700 million users to communicate between smartphones and tablets. Now, users can also chat via desktops, provided they are linked to the phone app. Currently only those using the app on Android, Windows and BlackBerry smartphones will be able to use the desktop version. WhatsApp cited ‘platfrom limitations’ for the reason the service is not avaliable on iPhones yet. 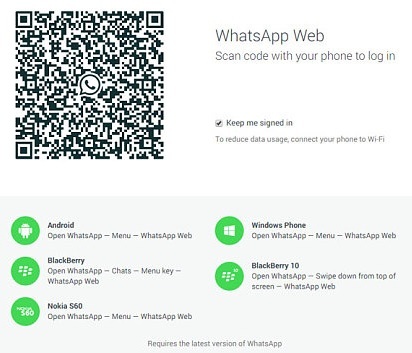 The move comes after After WhatsApp announced a crackdown on third-party desktop apps.